The Notre Dame stood for centuries as one of France´s greatest monuments and will always go down in history as a historic building in our time. Unfortunately it no longer stands where it once did due to an unfortunate accident and that is something for which the world is sad. You can do your part in paying tribute to it with this superb location sticker, depicting the building in its finest form. 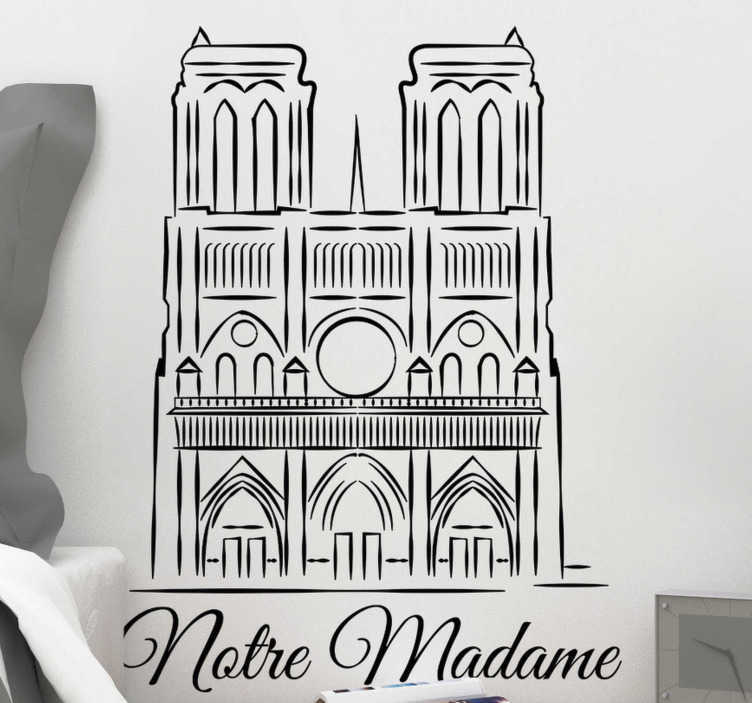 Ideal living room decor for all those who loved the Notre Dame as much as we did here at Tenstickers!